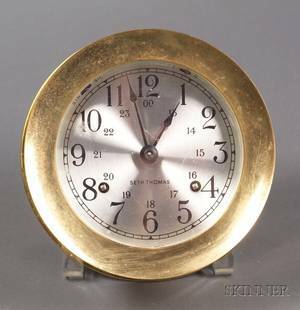 Seth Thomas brass clock, 10 3/4" dia. 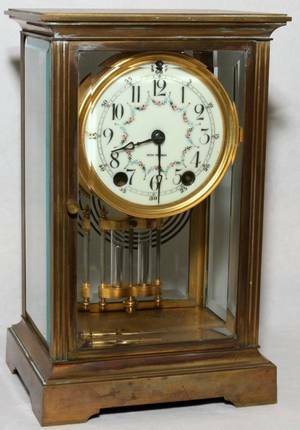 052446: SETH THOMAS BRASS CLOCK, H 11", W 7", D 5"
Seth Thomas French-style Brass Mantel Clock and a Seth Thomas Mantel Clock. 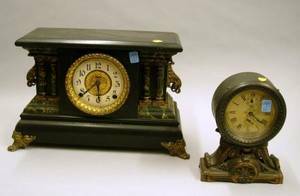 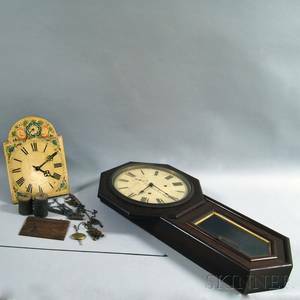 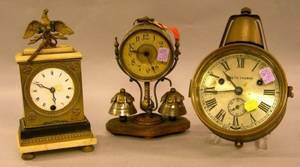 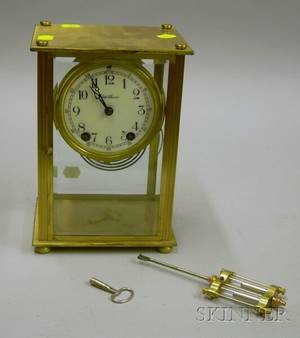 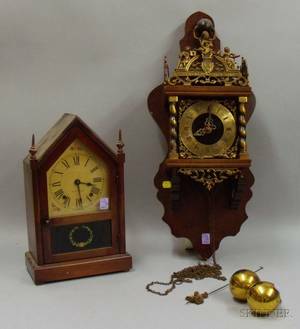 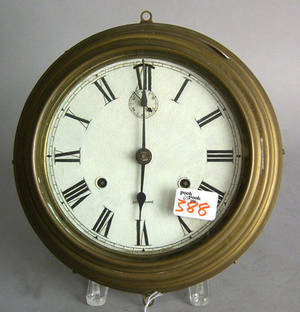 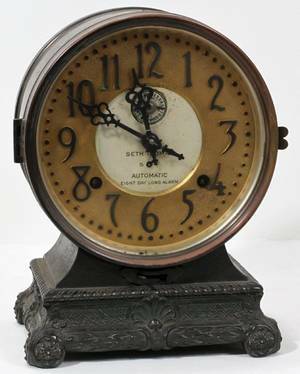 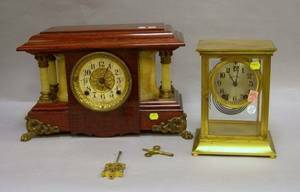 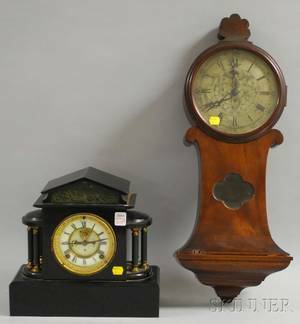 Seth Thomas Brass Cased Alarm Clock and Mantel Clock by E. Ingraham & Co.